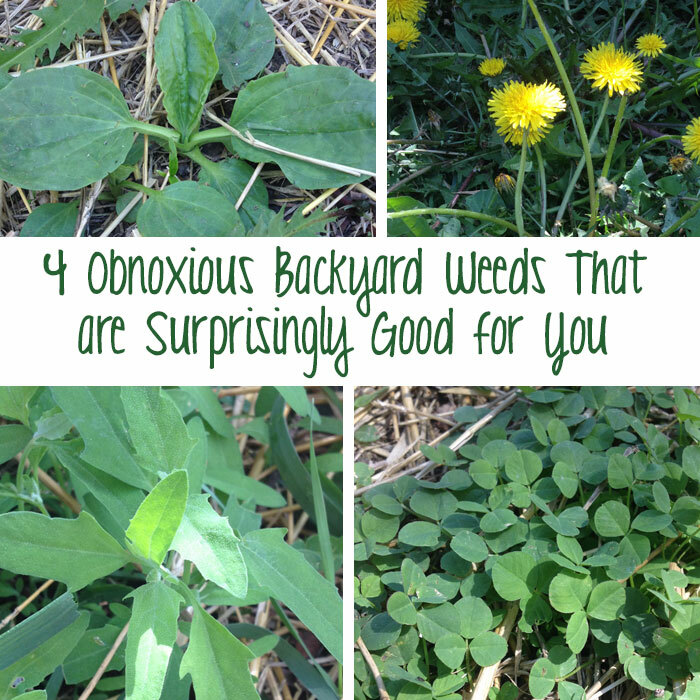 Do you spend an inordinate amount of time battling weeds in your yard? I know I do, and it took me a long time to accept the fact that those pesky greens growing alongside my vegetable garden are actually a healthy, abundant food source. You may be surprised at how many of the most common weeds in your yard are edible. Not only are they extremely healthy, they are absolutely free and delicious if prepared properly. 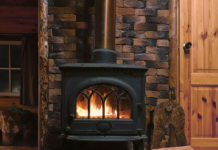 Of course, before consuming any plant, you’ll want to make sure you can properly identify it, as many weeds are toxic. Also be sure the plants you are harvesting have not been sprayed with chemicals. Dandelion leaves are loaded with vitamin A, vitamin C, calcium, and beta carotene, and can be used as salad greens. The leaves taste best when they are young and tender. The flowers are also edible and can be used to make delicious homemade wine. Not to be confused with banana-like tropical plantain, the broadleaf plantain is a green leafy plant that can be found almost everywhere in the United States. 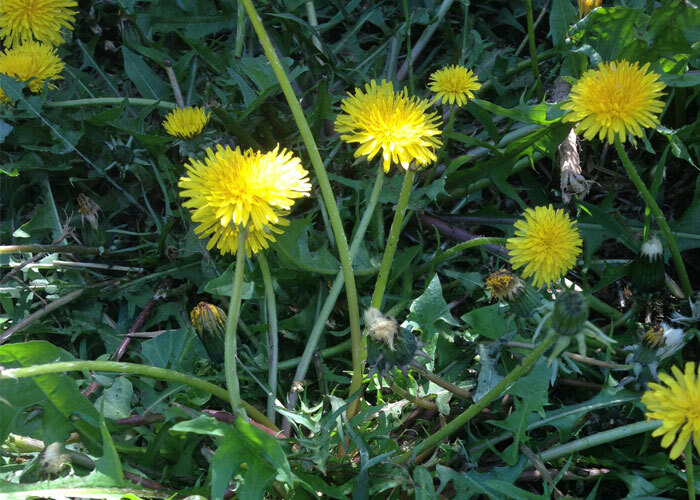 They are about as common as dandelions in yards and along driveways and sidewalks. Younger, tender leaves taste best in salads, but any of the leaves can cooked into foods or sauteed and eaten like kale. Consuming tea made with plantain leaves is often said to help with indigestion, heartburn and ulcers. The blossoms of red clover can be eaten raw or used in tea, and the leaves can be tossed into salads or boiled. The leaves don’t taste near as good as the blossoms, but they can still be a good source of food and vitamins. 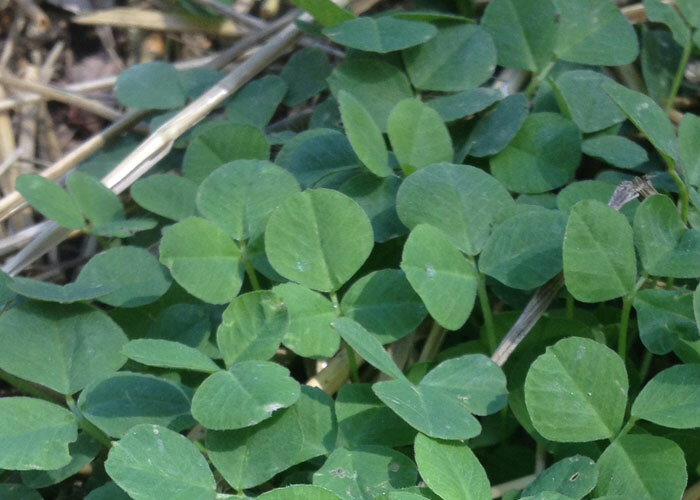 If you consume clover, be sure to do so in small amounts at first, as many people are sensitive to it. 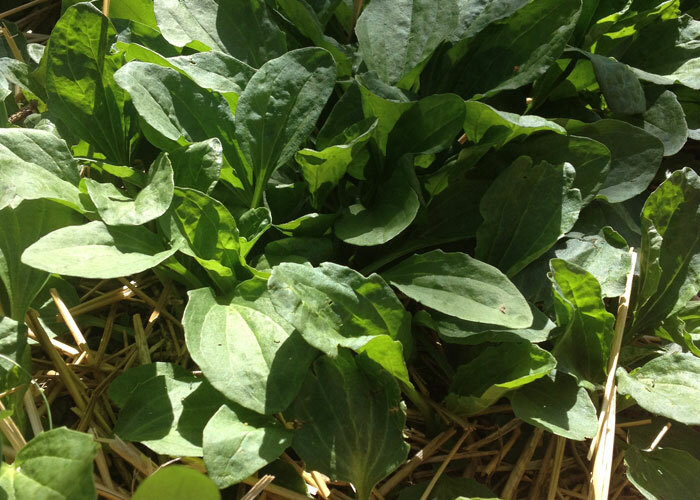 Lamb’s Quarters are a leafy green similar to spinach. The leaves are covered in a fine, white dust (which is also edible). They can be eaten raw or can be boiled or sauteed before eating. 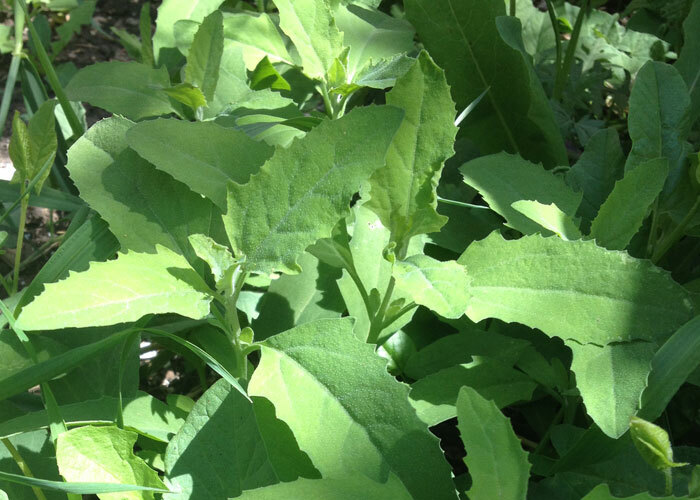 Lamb’s Quarters are one of the healthiest wild greens you can eat, as they are packed with nutrients. These are just a few of the many common weeds most of us see every day that are a good source of food. Of course, if in doubt about any particular plant, consult an expert or plant identification guidebook before consuming it.